Ongoing deal, never expires. Last validated 10mo ago . Used 247 times. Holly Beach This deal is valid, offers me $10 off my first order. @airbnb40 Hi! Here's how to get $10 off your first order. 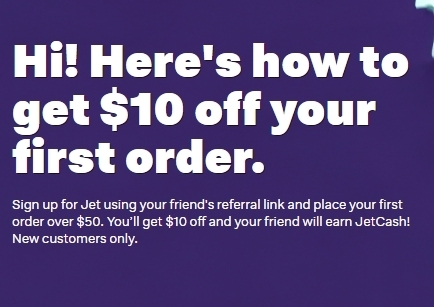 Sign up for Jet using your friend's referral link and place your first order over $50. 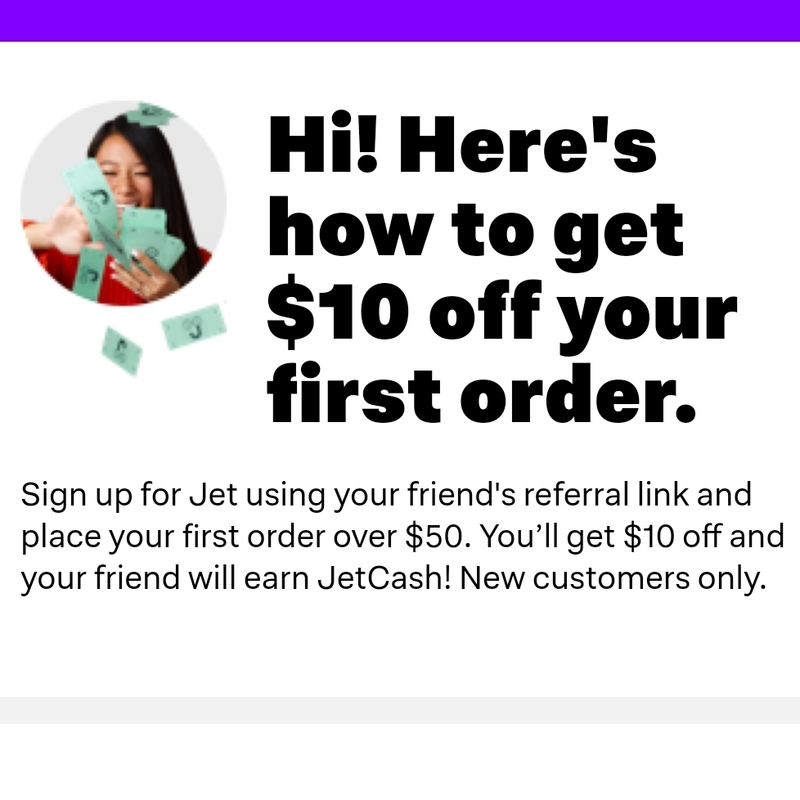 You’ll get $10 off and your friend will earn JetCash! New customers only. @chai1 Validating this deal works as described. 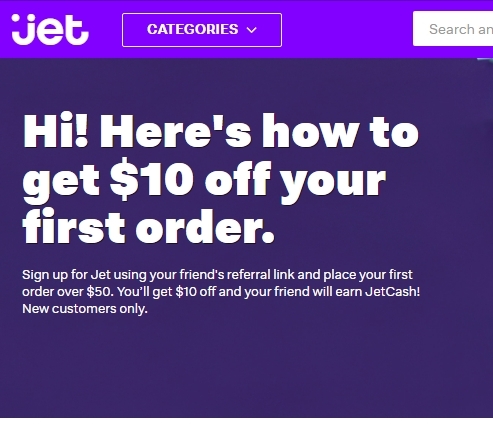 Here's how to get $10 off your first order: Sign up for Jet using your friend's referral link and place your first order over $50. You’ll get $10 off and your friend will earn JetCash! New customers only. @raiseup Here's how to get $10 off your first order. Sign up for Jet using this link and place your first order over $50. You’ll get $10 off and your friend will earn JetCash! New customers only.